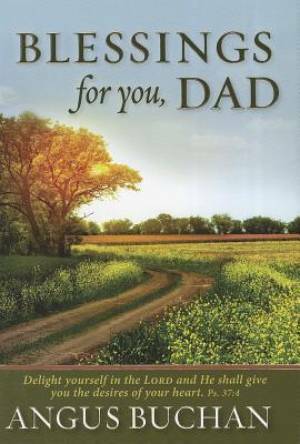 Blessings for You, Dad, a Gift Book by renowned author Angus Buchan, is ideal for every father. The authors wise and heartfelt messages, along with Scripture and glorious photographs, are sure to inspire and encourage dads. Angus Buchan is a passionate Christian preacher, author and speaker. Blessing For You, Dad by Angus Buchan was published by Christian Art in December 2012 and is our 16899th best seller. The ISBN for Blessing For You, Dad is 9781432102456. Be the first to review Blessing For You, Dad! Got a question? No problem! Just click here to ask us about Blessing For You, Dad.